Donate now to save lives and transform futures. Brutal attacks against the Rohingya people, a stateless Muslim minority, intensified in Myanmar’s Rakhine State in August. Since then, more than 600,000 refugees have braved the long, dangerous walk through forests and over hills to overcrowded, makeshift camps in Bangladesh. They bring horrific reports of death, loss and suffering. 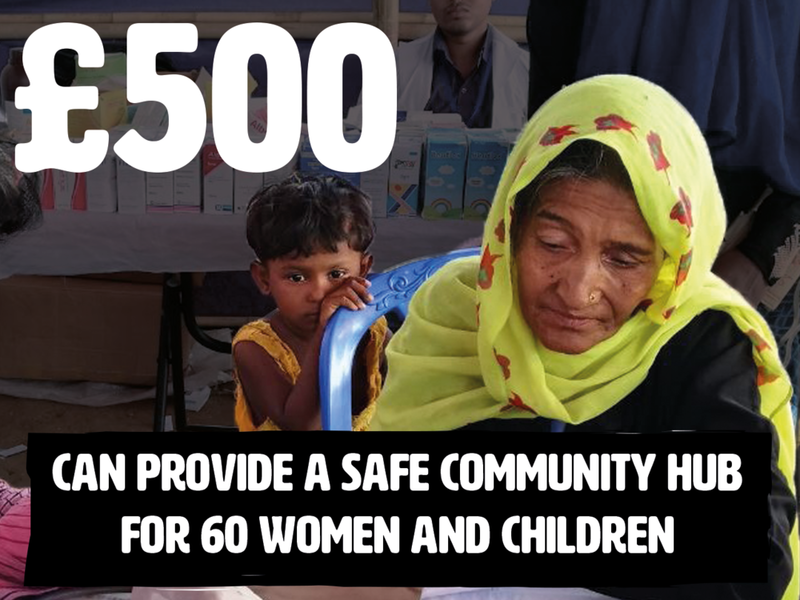 Many Rohingya families have lost everything. Exhausted and traumatised, they are forced to build their homes under torn tarpaulin sheets, and they are in desperate need of food, water and healthcare. We are on the ground in Bangladesh, ready to launch a long-term humanitarian response through which we will deliver healthcare and essential supplies. We have over 20 years' experience of working in this part of Bangladesh, so we have a unique and in-depth understanding of the local context. But as the crisis escalates, we urgently need your help. Please donate today and join us in our shared purpose to save lives and lift people up out of poverty. Together, we can stand with Rohingya refugees and enable them to transform their future.